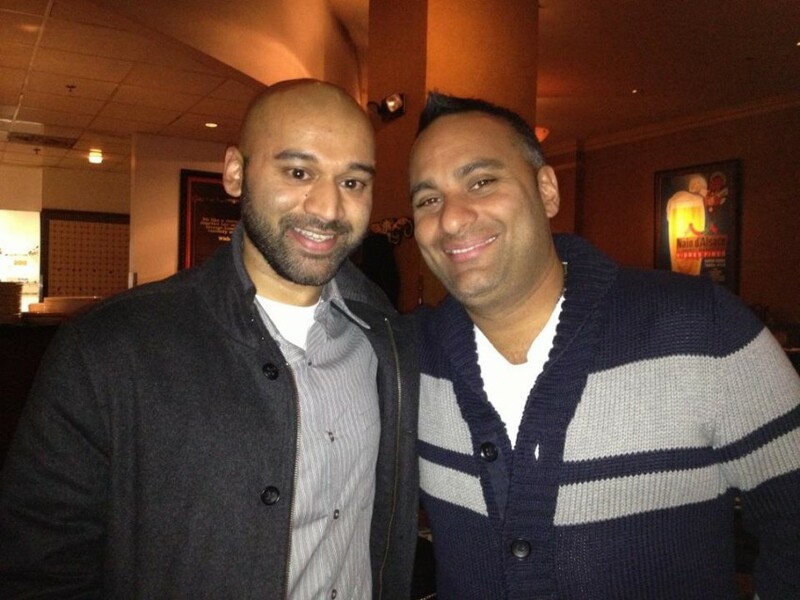 With comedian Russell Peters, who has been kind enough to have me on shows that he has done in Ohio. 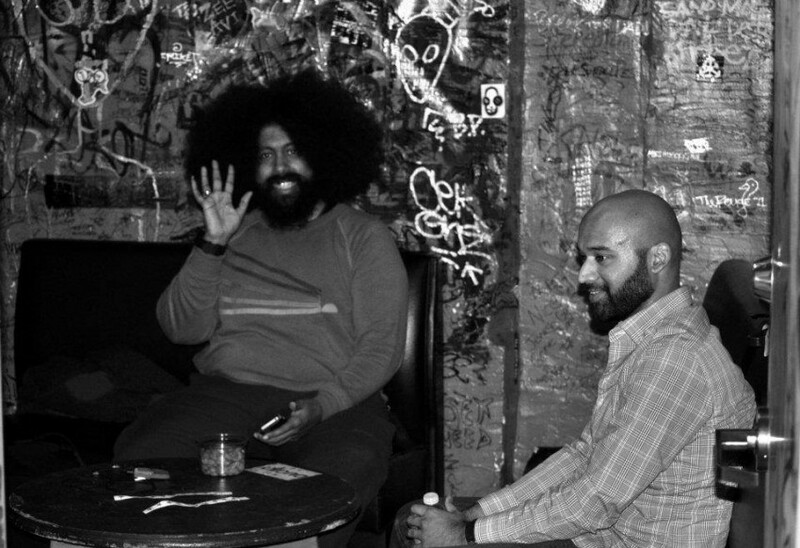 Backstage with Reggie Watts prior to his show where I opened for him. My T-shirt related to my comedy, which is available for sale on my website. My album, "The Mispronunciation of Sumukh Torgalkar" released August 4, 2015. It reached the Top 10 of the iTunes comedy charts. I have headlined many different venues across the country. Here is the marquee at the Columbus Funny Bone on the night I recorded my album. I have participated in numerous corporate events. I was a comedy coach for this event, "Last Realtor Standing," and the real estate agent I coached on comedy won the event! I do comedy at events honoring Indian culture. Here is for Intercambio in Boulder. I am a stand-up comedian who works comedy clubs, colleges, and private events across the country. I am a clean comedian who has entertained individuals of all ages and backgrounds. 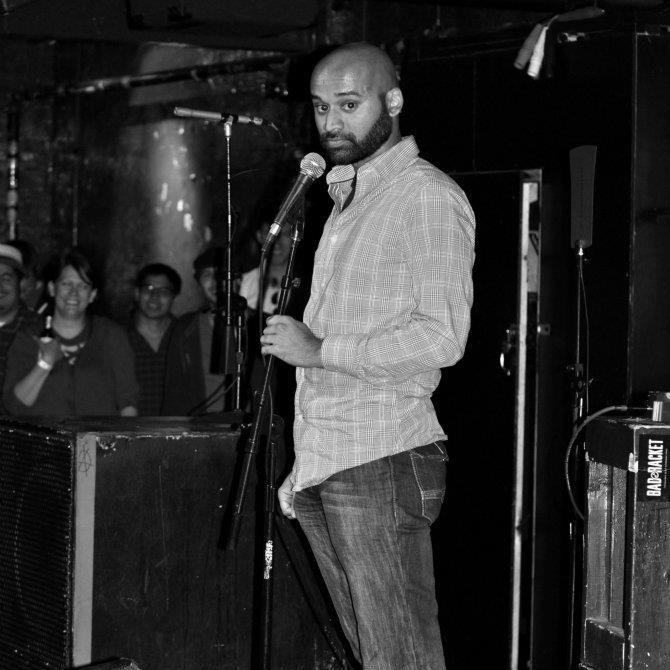 I am an Indian-American comedian who has performed at events related to the South Asian community. I am a versatile comedian capable of performing for any audience and willing to work to make the most entertaining show possible for your event. If you are looking for a longer show or larger scale event, I can work with you to make this is a success and provide additional, appropriate comedians for the type of humor that you prefer. Sumukh was fantastic! He was the comedian at our preschool fundraiser, and was hilarious! He was great to work with as well. He always got back to me immediately, and was very professional. I would definitely recommend him to anyone looking for a comedian! After watching Sumukh's videos, we knew we had to hire him! Working with Sumukh this past spring was a breeze; he handled our booking with the utmost hospitality and professionalism - plus, the crowd loved him! We can't wait to work with Sumukh again. Awesome Headliner Comedian for Fundraiser! Sumukh was very professional, easy to work with and plan with, and did a great job with comedy at our fundraiser event! In this time of racial diviseness, Sumukh helped us laugh at our differences, and really related to a Colorado crowd. 5 Tail Wags for him! Sumukh was a pleasure to work with from the get-go, and made dedicated efforts to commit to our event and find transportation to the venue. His act was witty and thoughtful and he carried a great energy throughout his whole set. I would recommend this act to anyone who appreciates thoughtful jokes that don't need to rely on raunchy punchlines. Sumukh is a fun conversationalist with the group, and in our case kiddos. He is enjoyable to work with and reliable. I recommend Sumukh! Sumukh was very helpful to us, as we are new to booking comedians. He gave us practical advice and pointed us in the right direction! We had Sumukh at our annual spring/ summer party, all I have to say HILLARIOUS. Very easy to work with , very proffesional. I can't speak highly enough about the job Sumukh did at our wedding reception . Going into it, he asked the right questions so he could tailor his act to our event. He was very professional when it came to the business side of things and did everything we asked. Sumukh was given an impossible task of being funny to a group of people ranging from their early 20's all the way to their 80's. And he got them laugh. I have no doubt in my mind that this day wouldn't have ended on the high note we wanted it to, if Sumukh were not a part of it. 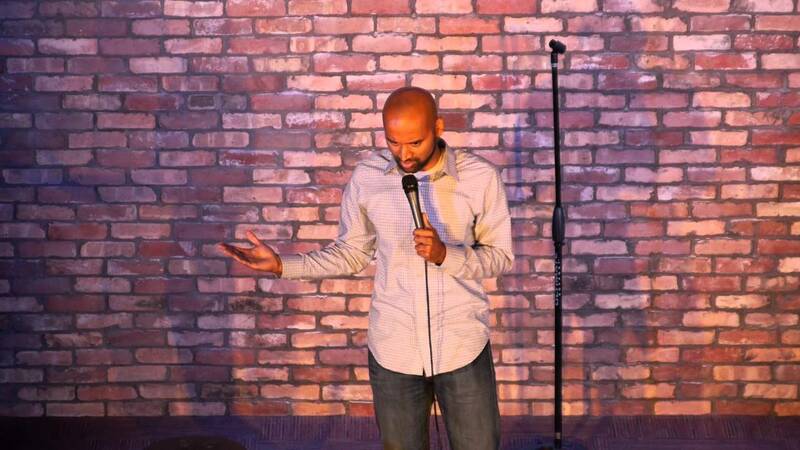 Sumukh was the opening act for a non-profit comedy event that my family hosted in August of 2015. While some performers might focus strictly on their own performance, compensation and brand, Sumukh offered much more in the way of planning, promoting, trouble-shooting and generally helping those organizing the event succeed in their goals. This inaugural event for our organization could have easily gone off the rails without Sumukh's insights and participation. He's a tremendous asset to any endeavor he's involved in. And I haven't even gotten to how funny he is! Sumukh has a style all his own. He blends tales of his upbringing, observational humor and commentary on modern times to great comedic effect. Borderline criminal name botching, onion sandwiches, an Indian passing for a Mexican - everything's fair game when you see Sumukh do his thing. He's a pleasure to watch and work with. We had the privilege of having Sumukh do a show at our college for one of our wellness events to help our students, faculty & staff de-stress with laughter. Sumukh had everyone laughing for over 30 minutes, all of his jokes were clean and hilarious. We would definitely recommend him & would love to have him back. Sumukh did a fantastic job at our corporate party! He ingaged the audience and was not obscene. Very funny! A professional and appropriate comedy show for any event. The comedy is clever and my main goal is to ensure your audience is entertained and happier by the end of the performance. Sumukh Torgalkar was born in Cleveland, Ohio to two Indian people. It’s a simple statement but covers the adventure that is Torgalkar’s comedy. Focusing on such varied topics as his Midwest upbringing, his Hindu faith, and his friendships with the elderly, Torgalkar weaves his personal experiences and observations via his dry but engaging sense of humor. 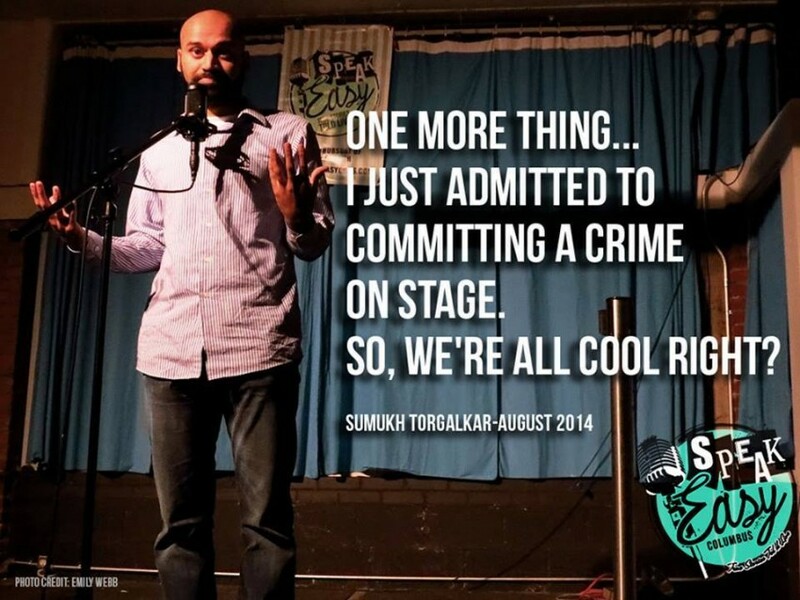 Torgalkar started doing comedy in Columbus, Ohio and helped organize numerous comedy festivals and independent shows which led him to being labeled one of Columbus Alive's “People to Watch.” He is now based in Los Angeles. He tours the country performing anywhere from independent stages to comedy clubs to colleges to corporate events all while accomplishing what one audience member described as “the impossible task of being funny to a group of people ranging from their early 20s all the way to their 80s.” He has opened for such major acts as Reggie Watts, Russell Peters, Kyle Kinane, and Chad Daniels and has appeared at the Laughing Skull Comedy Festival and Cape Fear Comedy Festival. As a writer, he has contributed to MAD magazine.